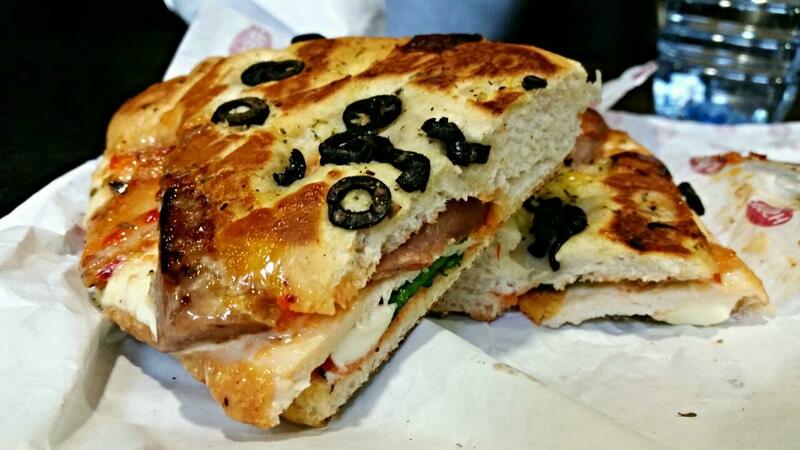 Everyone has their favourite quick-stop lunch-stop near their place of work or study. For myself and The Chief, it’s La Fuga, a small Italian cafe close to home, (home being the dental hospital). Serving a range of breakfasts, pastas, focaccias, paninis and ciabattas, La Fuga has become my favourite pit-stop during a busy day at university. All the meat here is halal. Note, this is my first “Quick-Eat” review, and you’ll notice fewer categories and a less detailed style of reviewing (I can’t possibly review every single type of ciabatta and panini, unless you want to lose more of your life reading these posts than you already do). I’ve visited La Fuga on numerous occasions over the last few years, though I’ve been visiting almost every day in recent months. Safe to say I’ve discovered the good stuff and subsequently developed an addiction). On the rare occasions where we’ve had an extra hour in the morning thanks to a 10am start for lectures, Blue Eyes, President Clinton and I have stumbled into La Fuga for breakfast. For some bewildering reason, a full english breakfast (in all traditional sense of the phrase), is not served at La Fuga, though they have a variety of other combinations, and are more than willing to add extra items to your breakfast upon request. Their eggs are well-cooked and flavoursome, whether ordered fried or scrambled. The scrambled eggs in particular are rather pleasant, being neither too savoury nor sweet (though I do have a sweet tooth when it comes to scrambled eggs). The beef sausages meanwhile are thick, soft and flavoursome, and of a reasonably good quality. 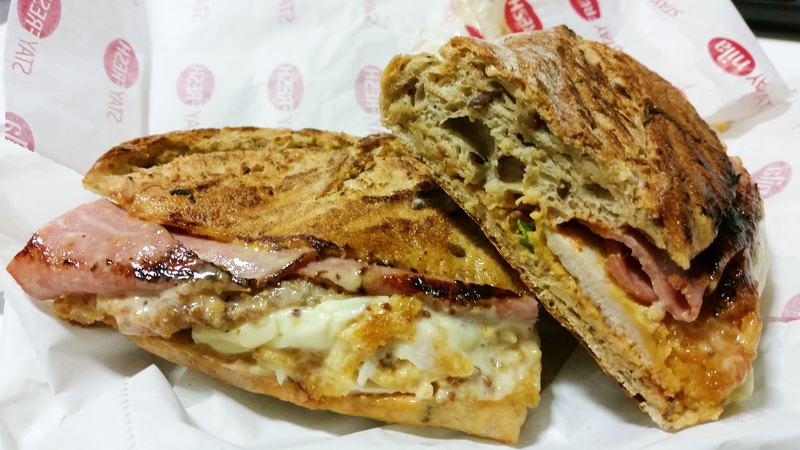 La Fuga’s bread/toast is also of a rather high quality, being thick with a very wholesome feel. 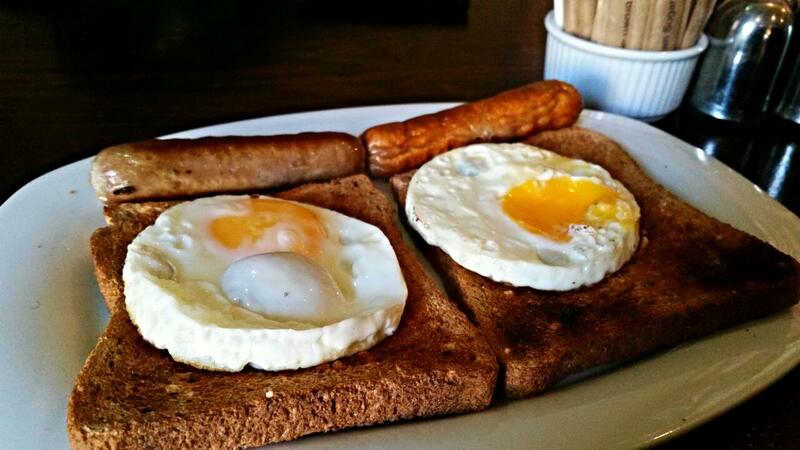 Fried eggs and beef sausages with brown bread (Did I really need to caption that? 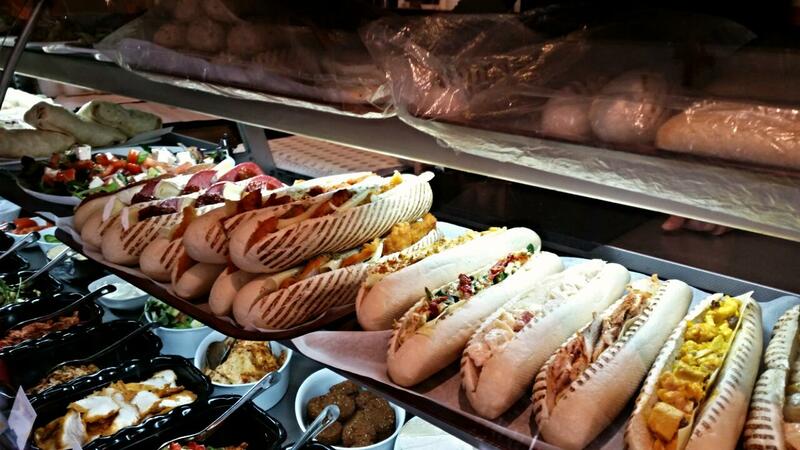 Their grab-and-go options are numerous, from regular filled paninis, ciabattas and wraps to foccacias and baps. 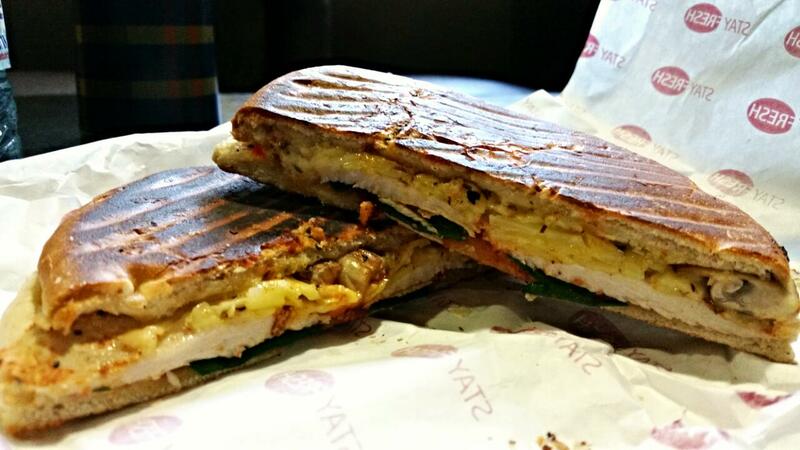 Whilst their regular paninis and their fillings aren’t particularly filling – (pun intended. I’m sorry) – and never really blew me away, their focaccia paninis, baps, wraps and rustic baguettes are fantastic. They come pre-prepared with a variety of fillings, from chicken escalope to turkey bacon to beef sausage, and are freshly toasted for you to run away or sit in with. 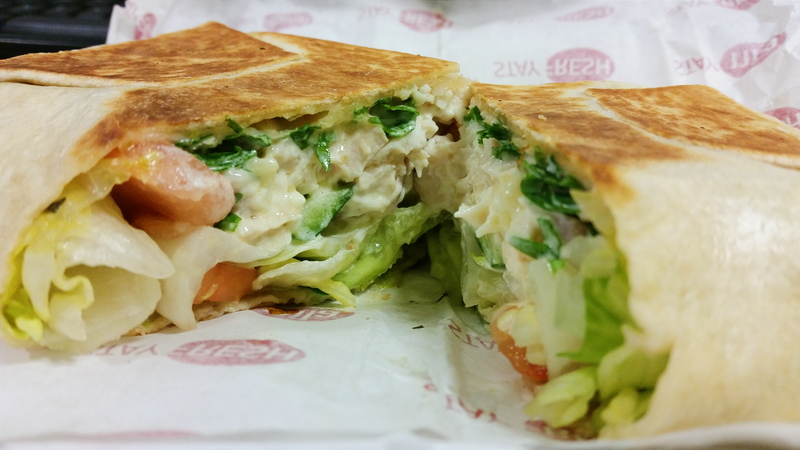 Numerous vegetarian options are also available, from falafel wraps to salads. Each of their focaccia paninis come packed with a variety of strong flavours and textures, and each component, from the wholesome bread to the delicate feta cheese to the tender chicken, is fresh and of a high quality. The quality in particular shoots other quick-lunch/panini vendors nearby right out of the water. 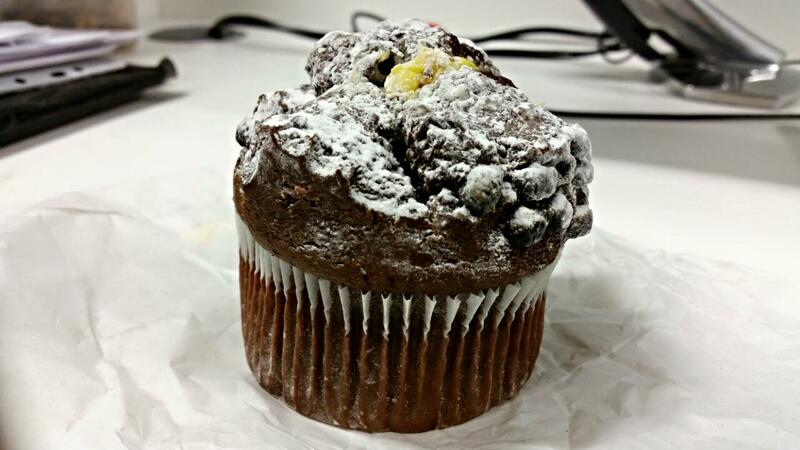 They also serve a variety of pastas and desserts, as well as the usual selection of coffees and smoothies. 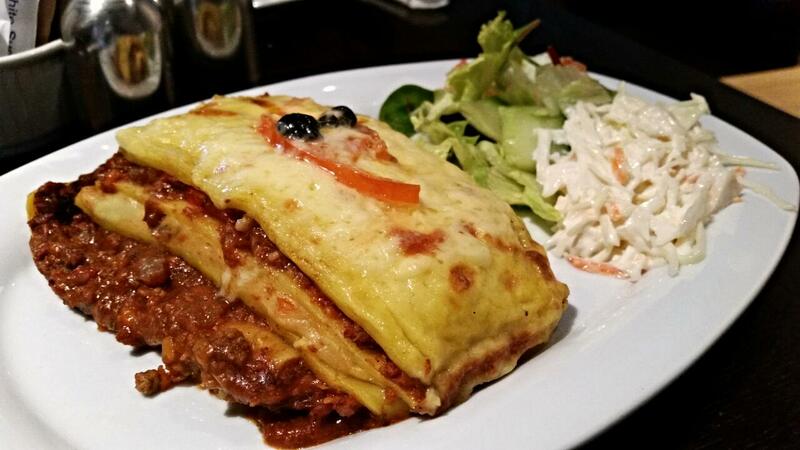 I’ve only tried their beef lasagne, which was of a good quality, though sadly rather bland for an Italian cafe. With a weak brew of beans that have probably been exposed to the air for too long, their coffee too is not quite up to scratch, (at least not when taken away). Their bakery desserts however, though perhaps not homemade, are of a good quality and are richly satisfying and equally guilt-inducing. From giant doughnuts to large almond and apple pastries, there’s plenty of sugary options to satisfy your sweet tooth, destroy your other teeth and take residence in your adipose tissue. 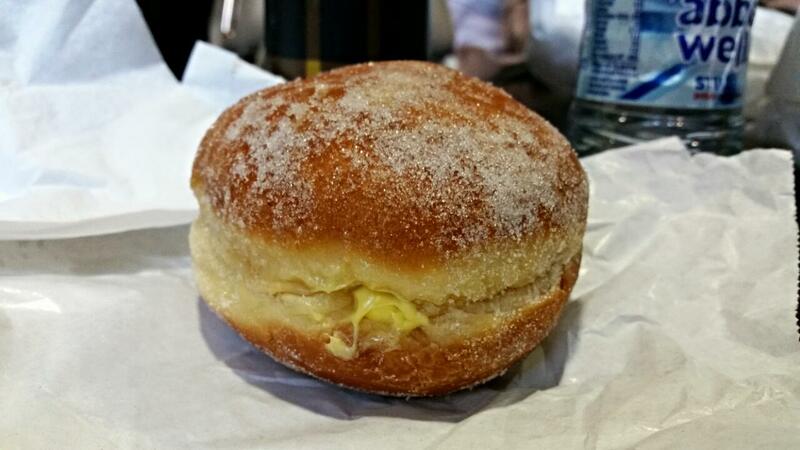 Giant custard doughnut. 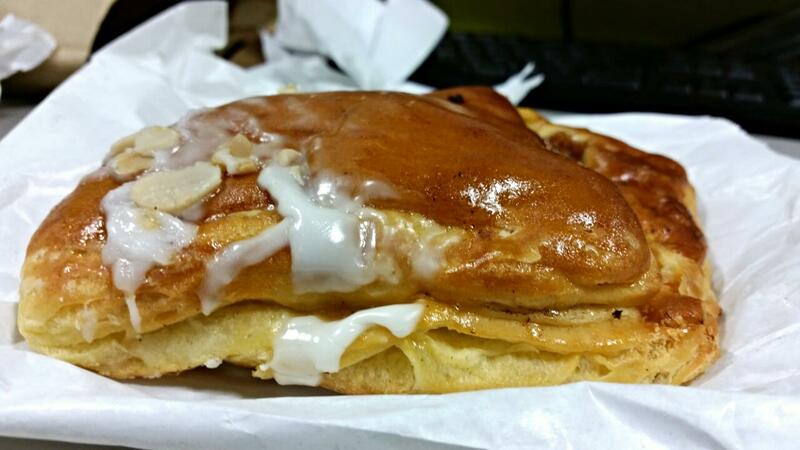 You’ll be a giant custard doughnut when you’re done with it too. The staff at La Fuga are incredibly welcoming and friendly, and always make an extra effort with their regular customers. Although sometimes they try to rob you of your summer abs by nodding to the cakes and pastries and whispering “Something sweet too?”. Luckily it doesn’t make a difference for me, my summer (fl)abs are permanent anyway. Service is quick too, even when the little cafe is rammed full of patrons. More importantly, no matter how busy it gets, staff still have the time of day for you. If you’re taking away, you should be out of the door in 5 minutes or so after ordering, ready to inhale your lunch before the second part of your miserable working day calls you to attention. Once again, I don’t think too much of the regular paninis as they are quite small, at least in comparison to paninis served elsewhere in the area. For £3.25 or so, they’re not quite as filling as I’d like either. Remember though, I’m a walrus and I eat too much. Their counter-top focaccias, baps and rustic baguettes on the other hand are large and very filling indeed. Throw in the superior quality to anything else you’d find in Whitechapel, and for £3.95, you wouldn’t have any regrets after that last bite of crusty rustic baguettes or thick focaccia. Wraps are a little pricier, at £4.25, but again, you pay for the quality. More or less all of their bakery items cost around £1.50 and believe me they are large and satisfying. Well worth the extra coins and additional inches to your waistline. Their breakfasts meanwhile range in the beautifully cheap and cheerful £3-£4 range, and though perhaps not the giant Full English you’d like, they’ll still do well to sustain you till lunch time. With satisfying grab and go options composed of fine quality components, La Fuga is a fantastic little cafe, and always a great shout. 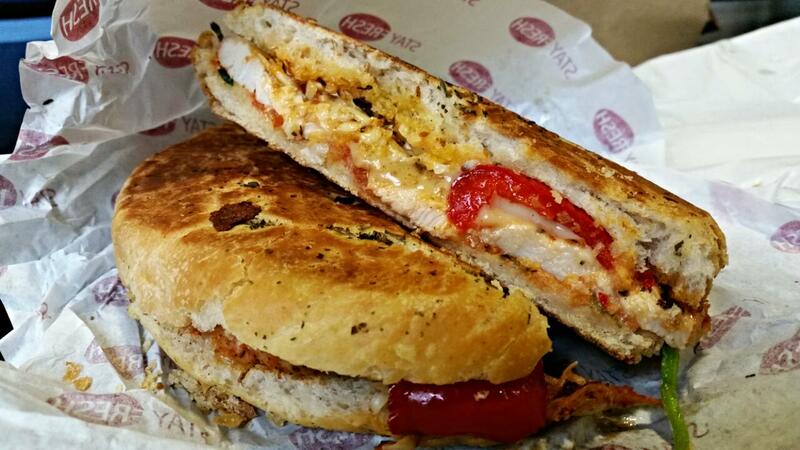 Dare I say it, I don’t think I could (happily) eat a panini from any other cafe currently residing in the area. A great place to pick up a quick and humble lunch if you’re ever fortunate or unfortunate enough to end up in Whitechapel.